Oprah Winfrey has defended Meghan against bad press. Source: Twitter/CBS This Morning and Instagram/Sussex Royal (right). Oprah Winfrey has defended her close friend Meghan in a passionate TV speech, claiming recent negative press reports have portrayed her “unfairly”. The US daytime TV legend, 65, has been close friends with the Duchess of Sussex and her husband Prince Harry for years, and she also took the opportunity on US program CBS This Morning to open up on her new collaboration with the prince on a mental health series – hours after it was announced on his and Meghan’s new Instagram page. Speaking about Meghan to the hosts, Oprah said she “is not only everything that we perceive of her as being – graceful and dynamic in holding that position – but she just has a wonderful, warm, giving, loving heart.”. Oprah was pictured among the guests at Meghan and Harry’s wedding in May last year and has since taken several opportunities to defend and praise the couple in the spotlight. And it came hours after the Sussex Royal Instagram page announced that she was partnering with Prince Harry on a mental health series, launching on Apple in 2020. The series aims to inspire viewers to speak openly about mental illness and mental wellness, building on Harry’s ongoing support and work for mental health in the past. 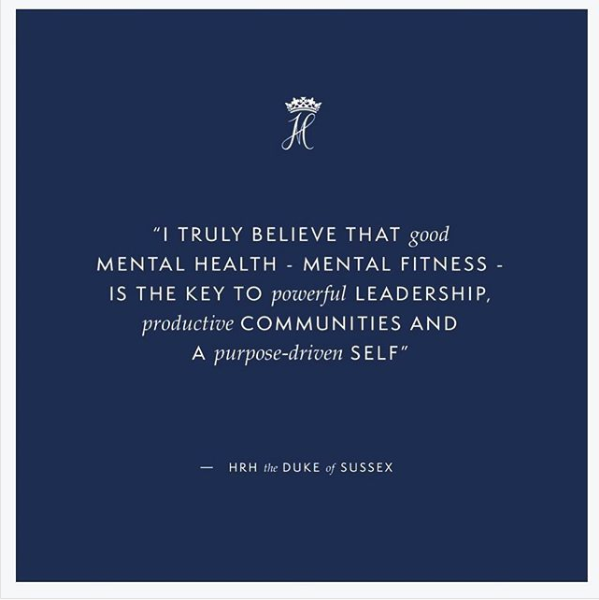 Sharing his own thoughts in the post directly, Prince Harry explained: “I truly believe that good mental health – mental fitness – is the key to powerful leadership, productive communities and a purpose-driven self. It is a huge responsibility to get this right as we bring you the facts, the science and the awareness of a subject that is so relevant during these times. The Duke of Sussex announced his partnership with Oprah on Instagram. Source: Instagram/Sussex Royal. Oprah echoed his thoughts on the TV program, and explained that he had battled his own issues in the past following the tragic death of his mother Princess Diana. “He’s spoken about his own issues, what he went through after his mother died, and how being able to talk about it has benefitted him. It’s a passion of his,” she said, before adding that she told Harry about her plans then to “erase the stigma” around mental illness with the Apple series. What do you think of Prince Harry’s partnership with Oprah Winfrey on a new series on mental health? Is it a positive step to help people to open up? Have you suffered with mental illness?